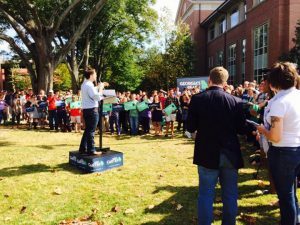 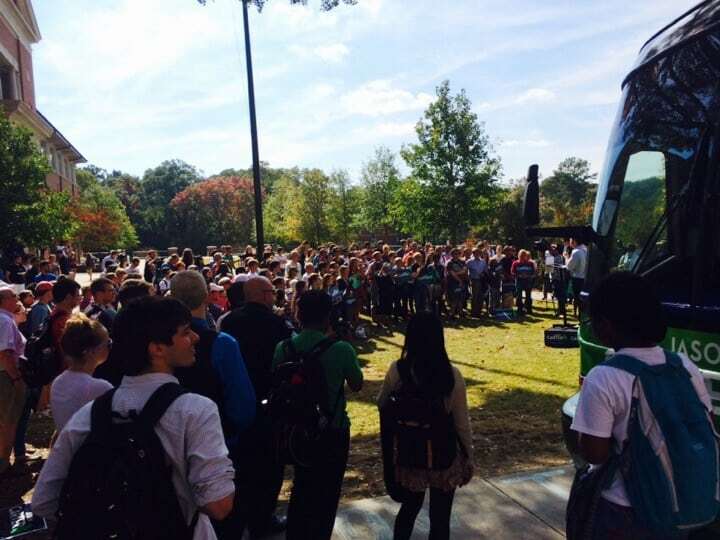 Athens, GA- Jason Carter came to Athens today with his #GeorgiasReady bus and spoke to a large crowd of students, encouraging them to vote. 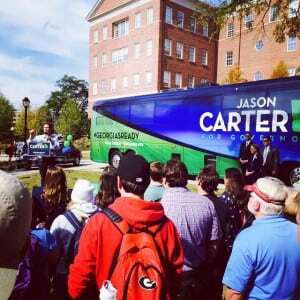 With the election only six days away, Carter says there’s a lot of enthusiasm on his side and feels good about the election. 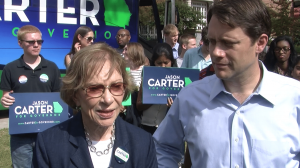 Carter also brought a special guest along, former First Lady Rosalynn Carter. 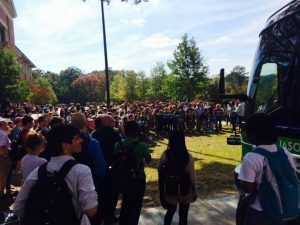 ATHENS,GA- See how $30,000 could light the way to safety for drivers.